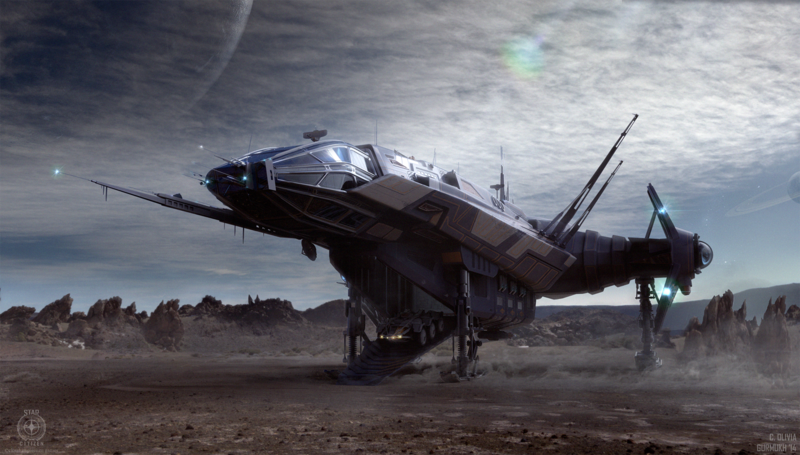 We have the incredible work of Los Angeles based concept artist Gurmukh Bhasin. 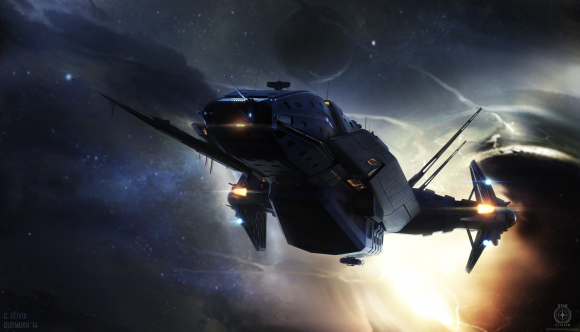 Gurmukh is currently the in-house 3D concept artist at Cloud Imperium Games designing spaceships for the hugely anticipated epic ‘Star Citizen’ video game. Gurmukh Bhasin started out his creative career in architecture but after 13 years studying and working professionally he made the switch to concept artist. This transition has allowed him to grow creatively and to let his imagination run wild in these awesome creations. His background in architecture and design give his futuristic vehicles, spacecraft and environments that extra level of realism and believability. We had the opportunity to ask Gurmukh about his creative process. Do you create all your images directly in the computer or use sketches first? We’d like to thank Gurmukh Bhasin for taking the time out of his busy schedule to talk to This Is Cool. To find out more about the artist, please visit his homepage at www.gurmukhbhasin.com.